But that's tough when your grandmother is a Yaga, a guardian who guides the dead into the afterlife. It's even harder when you live in a house that wanders all over the world . . . carrying you with it. Even worse, Marinka is being trained to be a Yaga. That means no school, no parties--and no playmates that stick around for more than a day. So when Marinka stumbles across the chance to make a real friend, she breaks all the rules . . . with devastating consequences. Her beloved grandmother mysteriously disappears, and it's up to Marinka to find her--even if it means making a dangerous journey to the afterlife. 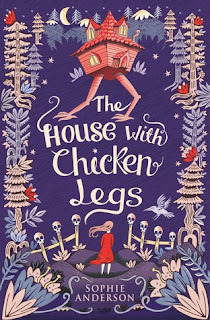 The House With Chicken Legs is a Baba Yag retelling, and if you're familiar with the original story you know pretty much what to expect, right? Wrong. Sophie Anderson takes this age-old Russian Folklore and spins a fantastic story with an entirely different vibe to it and it's hard to resist. We start with Marinka fed up of her nomadic life. She's had it with dead guiding dead people- or rather, helping her grandmother, Baba Yaga guide dead people to through The Gate, and is yearning for the living. So when Benjamin- living, breathing Benjamin with his little lamb- walks through her door, Marinka is fascinated, to say the least. What follows is a magical story of self-discovery, friendship and loyalty, riddled with difficult questions. What would you do if you'd rather choose your own destiny than resort to one that was bestowed on you? Characters played a huge part in the story, and Marinka was definitely my favourite; I loved seeing her grow and come to terms with what was bothering her. You feel and understand her yearning for a normal life and it was hugely satisfying to see the story fold out as it did. I loved Baba and Benjamin and Jackdaw, and all the other characters in the book too! The House should of course be mentioned here too- it was personified beautifully, with a large heart, lots of charm, and some rawness to it and...would it be weird to say I loved it? I did! I loved seeing how Marinka's relationship with the house grow and change over the course of the story. The writing was rich and helped conjure up this vivid world where houses walk and the dead talk, and you'd find yourself wanting for more of this stunning world. The story flowed effortlessly, making for a quick and easy read, and the magical realism throughout gave this one such an enticing atmosphere- you'd honestly have to just read it to feel it. Finally, I'd say The House With Chicken Legs is a brilliant reimagining of Baba Yaga, with lots and lots of magic to it. It would take you on a journey you'd never forget, across the worlds of the living and the dead (and even out of them too! ), with a wonderful set of characters who'd entertain you like no other. And finally, why wouldn't you pick this one up even after reading that title? I was seriously weirded out when I saw the title, but after reading your review, this sounds a lot better than I thought it would, haha. This sounds so interesting! I've read about Baba Yaga but only as a sort of side character in other books (mostly a lot of fantasy) so I'm really interested to hear about a book that is solely focused on that specific fairytale. And after hearing you say you even got to know the house? I'm sold :) Lovely review, Ruz! I had no inkling of this folk tale, and now it seems to be popping up all over. The first time I encountered it was with Vassa in the Night. This retelling sound fantastic, and I am glad you enjoyed it. I was pretty excited about Vassa in the Night but somehow lost interest down the lane. This one, though, was brilliant! Whoa how could I never heard of this book before?? I love Russian tales and all the retellings I've read so far never dissapoint, so I'm adding this to my tbr! Amazing review Ruzaika! This sounds so odd and yet, I'm so drawn to it. 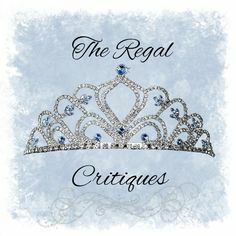 I love a well-written middle grade, especially retellings. Thanks for introducing me to this one!